The second phase of the Aqua Line Extension of Noida Metro phase 2 from Noida Sector 71 to Knowledge Park 5 in Greater Noida. This decision was taken at the Authority’s 113th board meeting. “Noida Metro Rail Corporation would be the nodal agency for the project. 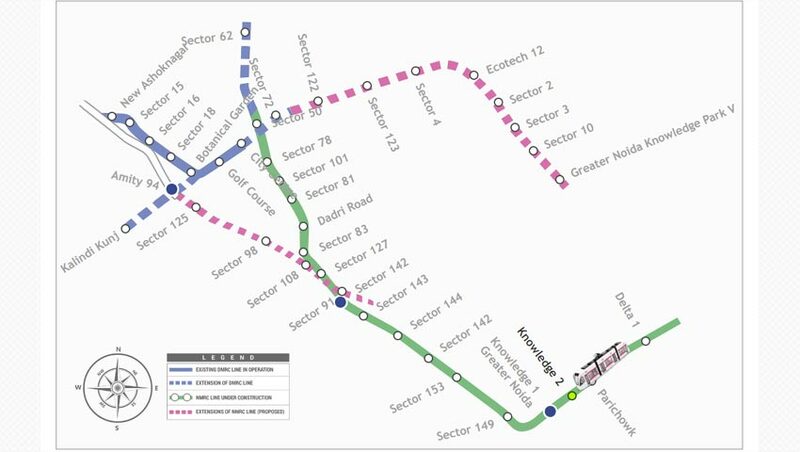 The first phase of the Metro project comprising five stations from Noida Sector 71 to Greater Noida Sector 2 is expected to cost around Rs 1521 crore, officials said. The Akhilesh Yadav government had earlier approved construction of a 15-km metro project to connect Noida Sector 71 with Greater Noida’s Knowledge Park 5 via Ace Divino. The metro stations in Noida include sectors 122 and 123 and the metro stations in Greater Noida include sector 4, Ecotech 12, sectors 2, 3, 10, 12 and Knowledge Park V.
Homebuyers of Greater Noida West, that now has a population of about 30,000 residents, have welcomed the decision. They hope that work would begin soon. “Also by the time construction is completed, over 50,000 residents would have moved into the area,” said Abhishek Kumar of NEFOWA. by when this work will start (Noida sector 71 to Knowledge Park 5)?? ?